Members - Please Order Through Your Private Links! Designing, Mapping & Managing Your Strategy - Use the techniques, processes and assessment criteria you learn in this Course to increase the power, effectiveness and implementation of your strategies. The 7 Primary Actions of Legendary Leaders - Shows you how to apply the traits, characteristics, behaviors, styles, work patterns and strategies of the best leaders in human history. Creative Evolutionary Niche Strategies for Leaders - Explores ways you can use the concepts, principles and tactics of evolutionary forces to shape, transform and improve the success of your leadership efforts. How to Evaluate Your Reality and Boost Your Results - You will learn the process, issues and techniques for conducting an in-depth analysis of your vision, clients, partners, plans, products, services and people. Designing, Mapping & Managing Your Strategy - Use the techniques, processes and assessment criteria you learn in this Workshop to increase the power, effectiveness and implementation of your strategies - during the Workshop, you will build your own "Strategy Map" and develop metrics to assess and manage its execution. The 7 Primary Actions of Legendary Leaders - Shows you how to apply and master the envisioning powers, qualities and attitudes, traits and characteristics, roles and behaviors, styles, work patterns and strategies of the best leaders in human history. Creative Evolutionary Niche Strategies for Leaders - Explores 21 proven ways you can use the concepts, principles, tactics and practices of Nature's evolutionary forces to influence, shape, transform, energize and improve the success of your leadership efforts. How to Evaluate Your Reality and Boost Your Results - You will learn the process, issues and techniques for conducting an in-depth analysis of your vision, clients, partners, plans, products, services and people - in this Workshop, you will start creating your own unique "Contextual Map" and learn how to use it in managing your situations. Designing, Mapping & Managing Your Strategy - Use the techniques, processes and assessment criteria you learn in this Workshop to increase the power, effectiveness and implementation of your strategies - during the course, you will build your own "Strategy Map" and develop metrics to assess and manage its execution. UltraNet! Members - Must Use Your Private Links to Order! How to Evaluate Your Reality and Boost Your Results - You will learn the process, issues and techniques for conducting an in-depth analysis of your vision, clients, partners, plans, products, services and people - in this Program, you will completely create all 11 phases of your own unique "Contextual Map" and learn how to manage, improve and expand your plans, resources and growth opportunities - this Program is intended to improve your department, Board or organization! For further information about these events, please email or call us. Master The Success Of Legendary Leaders! Get Your Leadership Training Toolkit, Today! Looking For Ultra Leadership Training Course? Click HERE - To Join this World-class Program today! - Learn More About the Leadership UltraNet! The Leadership-UltraNet! 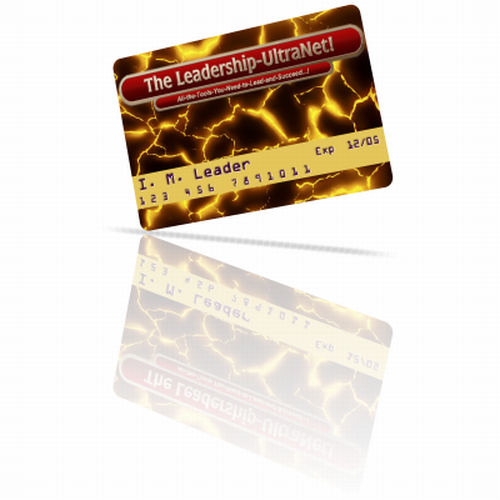 is a combination of web-based tools and offline materials which employ proven blended, action-oriented training techniques - you will use the Leadership-UltraNet! as your personal treasure chest for continuous growth and enhancement - it is the perfect solution for satisfying all your leadership training, performance coaching and innovative leadership development needs. Remember, The Leadership-UltraNet! is designed to be your friend forever. It will be the constant, well-thumbed, most used resource in your cyber-bookcase. You will want to consult it, study its lessons and use it whenever you encounter new challenges, problems or opportunities. Ideas From Visionary Imagination to Successful Results!